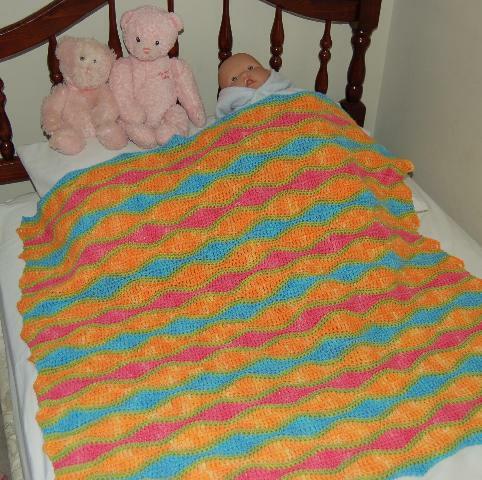 Description: Quick to knit afghans and shawls shown in mohair. 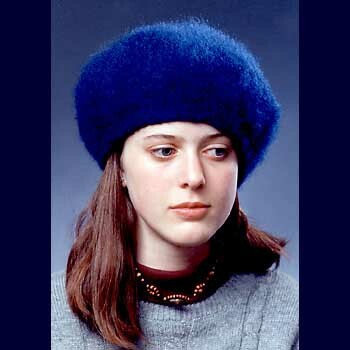 Yarn Requirements: For shawls, approximately 660 yards of mohair and 120 yards of contrast. 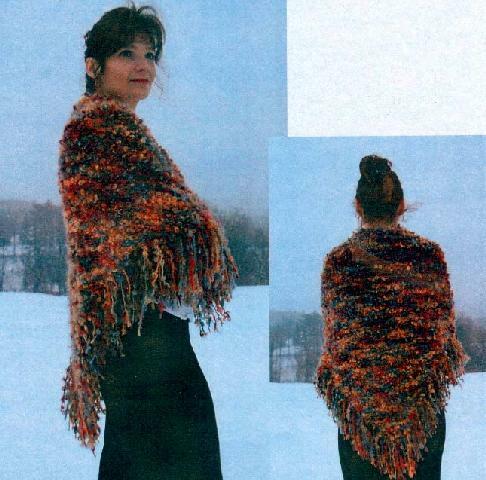 For afghans, approximately 1320 yards of mohair and 190 yards of contrast. The contrast, used for eyelet rows, may be a different texture as shown or a second color. Other Supplies A 29 inch circular needle in size 10.5. 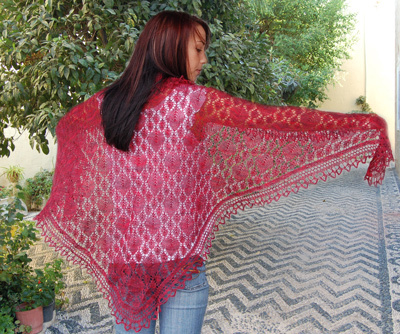 Note: Both shawls and afghans are knit in rows of garter stitch. The circular needle is used to accommodate the large number of stitches. Gauge 12 sts per 4 inches.